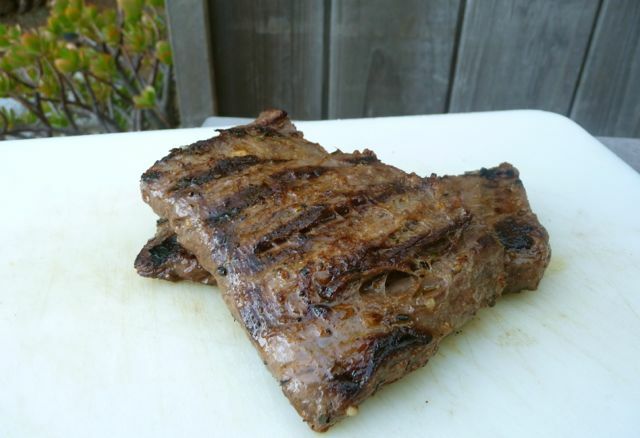 Make any day a happy day for Dad with this deliciously tender and juicy grilled skirt steak! It’s sweet-n-tangy flavor comes from an easy-to-make balsamic marinade with TWO OPTIONS – you can opt to use my slightly sweet Balsamic-Apricot marinade -OR- use my tangy Whole30-compliant Balsamic Lime Marinade. Either option is terrific! This flavorful steak is delicious served with garlicky mashed potatoes and your favorite green veggie. Got leftovers? Dice the steak and add it to a quick and easy veggie zoodle stir fry. Skirt steak is an economical cut of beef that is perfectly tender and juicy when grilled medium-rare and sliced against the grain. You can find grassed beef at most whole food type stores, or online via health-conscience companies like U.S. Wellness Meats. For easier marinating and handling on the grill, cut the steak into 3-4 shorter pieces. Grilled skirt steak is a budget-friendly way to enjoy a tender, juicy steak dinner! 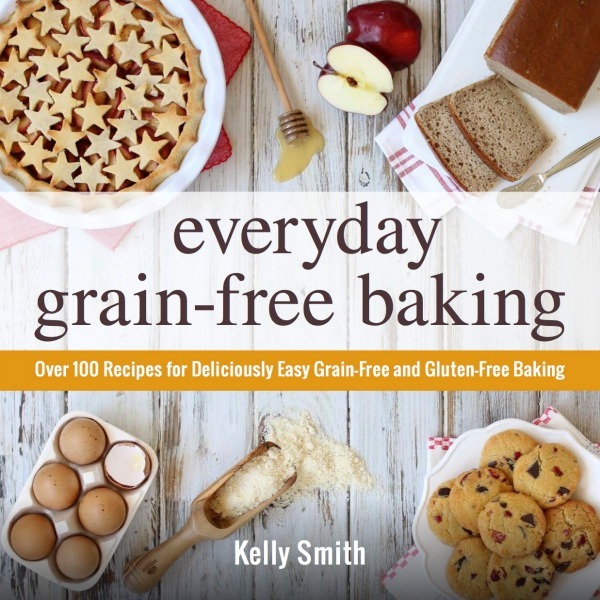 In a 9x13-inch baking dish (or gallon-size ziplock bag). Add the marinade ingredients of your choice and combine well (do not add the steak). 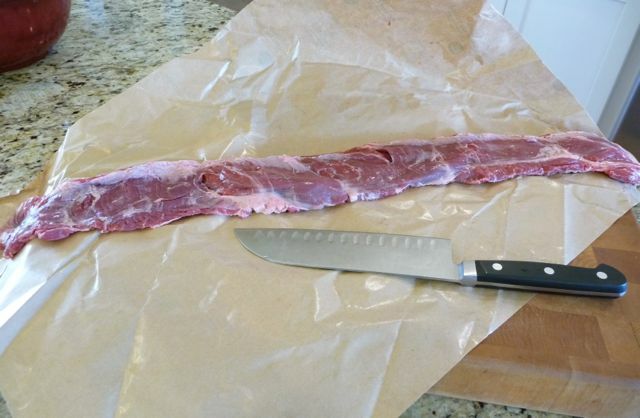 Cut the skirt steak into 3-4 fillets and place in marinade, making sure both sides are well coated. 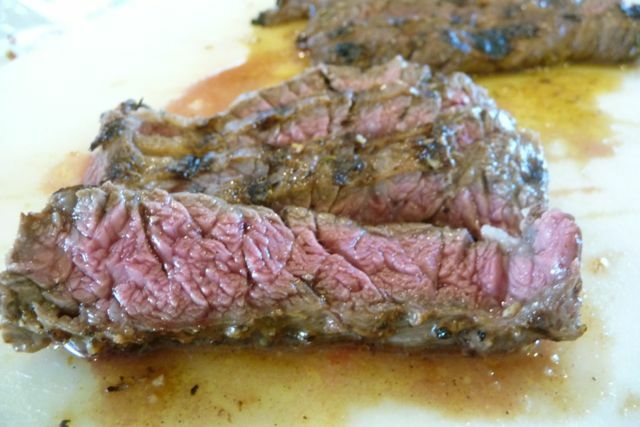 Marinate steak for at least 30 minutes at room temperature, or up to 10-12 hours in the refrigerator. The key to juicy, tender meat is to bring it to room temperature prior to cooking. So be sure to take the marinated steak out of the frig about 30-45 minutes prior to grilling. When ready to grill, preheat grill on high heat. Remove the steaks from their marinade, making sure to shake off excess marinade. Grill steak over high heat for 2-3 minutes on each side for medium/medium rare depending on the size and thickness. Remove steaks from grill; cover with foil, and allow to rest for 3-5 minutes. Thinly slice skirt steak against the grain. Serve with your favorite sides. That marinade sounds wonderfully flavorful! i bet it would go great with some hearty veggies! thanks for sharing! I just wanted to tell you how much I loved this recipe. I used bison for iron content and it can often be dry and not as flavorful, but this marinade recipe made it fabulous. My husband and two hopelessly picky boys ate it all! Thank you! Incredible!! I’m not a huge beef eater and never have seconds. But I did with this. My husband said he’d marry me two more times if I kept making this. Followed exactly.